When Should You Walk Away From Business? One of the hardest things for salespeople to do is to "walk away" from a potential opportunity. The truth of course is that they are not ALL opportunities. Here is a direct excerpt from Bill Cates new book, Beyond Referrals where he talks about three reasons you might want to move on. “Walking away from business”—now there’s a concept that you don’t often hear discussed. I think there are three main situations in which you should consider walking away from a potential new client. When you accept clients who don’t fit your business model, you don’t have as much time to attract and serve the clients who do fit your model. Why do people take clients who don’t fit? Two main reasons: (1) they have a scarcity mentality, or (2) they are afraid to say no. Be on the lookout for the scarcity mentality—meaning you see prospects and clients as a scarce resource and so you’ll take anything that comes along. This often unconscious way of thinking or believing keeps many a talented person from reaching his or her full potential. The truth is, there are plenty of great clients out there; you just have to put yourself in the right flow. I sincerely believe that an initial meeting between you and a prospect should be a mutual interview so that you both can see if you like each other and have similar expectations related to your product or service. How many times have you had a gut feeling, “I don’t think I’m going to enjoy working with this person,” and you bring the person on as a client anyway? Trust your gut! It will save you time, aggravation, and often money in the long run. The second response could be, “No, no. I really am interested. It’s truly a matter of timing. Let me explain a little better . . .” Now you know you still have a decent prospect. In the long run, your willingness to walk away from imperfect situations will help you build a stronger business that will also produce more referrals. While you believe in the process of getting more introductions and referrals, sometimes you still have to fill in your calling with prospects who are not expecting your call. Here is another installment of the Referral Minute from Bill Cates the Referral Coach about dealing with the gatekeeper and some ideas that might help. One age-old obstacle to reaching prospects is the “gatekeeper.” If you’re trying to reach prospects at their offices, then you’re already nodding your head. I feel your pain! While there is no magic key that always gets you through, here are some ideas I’ve used myself over the years. Again, no magic involved – just working all the options to the best of my ability. 1. Naturally, the stronger the introduction the more likely your prospect will either set up the first phone appointment directly with you or get his/her assistant involved in getting the appointment set up. 2. Email or LinkedIn introductions will usually get you talking (electronically) directly with the prospect. When I reach a prospect, he/she often cc’s the assistant to work with me to schedule a call. 3. Even if you’ve been introduced – but especially if you haven’t – think about mailing some valuable information to the prospect first – to spark their interest in hearing from you. 4. When mailing a packet to your prospect, get their assistant involved in the process. I usually call the assistant to alert them to the fact that I’ll be sending something. I often ask the assistant if I can send the item directly to them, for them to then deliver to my prospect. Then I follow up with the assistant to verify my package has been delivered. 5. Always be kind and professional with the gatekeeper. In fact, don’t be afraid to have a little fun. If the gatekeeper finds your behavior rude in any way, that will get conveyed to your prospect. Not good! Stop thinking you can totally avoid having to deal with the gatekeeper. Sometimes the gatekeeper IS your way in. Ok, so you finally started the getting into the habit of asking for introductions and referrals. great! Now that you have some names, what do you do when they don't return your call? My process is to call them 8 times in 8 days. I realize that may a little over the top for some of you, but the guy that taught me that process, Dave Kurlan got me to understand that it isn't that they don't want to take your call, but sometimes they just have more pressing things to deal with. Keep calling until the reason they agreed to take your call rises to the top of their priority list that day. By the way I don't leave messages every day. While there is no set formula I will leave a message the first time I call and then on calls 5 and 8 (never have gotten past 5). That approach may be a little "out there" for some of you so here are some suggestions from Bill Cates the referral coach from this weeks referral minute. 1. Let your referral source know you’re not hearing from the prospect. They will often go to bat for you. 3. Get your referral source to invite the prospect to your next event – social or educational. 4. Consider hosting fun and interesting social events just for prospects you’re trying to reach. Sometimes they don’t want their first meeting with you to be about their business. 5. Send them something either fun or highly interesting/informative. Sometimes some “bulky mail” will get their attention, prompt a thank you, and get your foot in the door. 6. Use humor. If you have a sense of the prospect’s personality, humor can work wonders. I’ve sent fun emails to prospects that have prompted immediate replies. For instance, I sent a prospect – who had just returned from a vacation in Costa Rica - an email recently saying something like, “Are you still recovering from a Costa Rican spider bite?” He replied immediately and apologized for the delay in getting back to me. Whatever your approach, be persistent! We are constantly getting upgrade reminders from our phones and computers to upgrade to the latest version of the software so they work better. Have you gotten your upgrade notice for your business? Are you working harder and harder but still finding it difficult to continue to grow your business? Maybe it’s time for an upgrade. Years ago I heard a very successful life insurance professional describe why at age 40, after 18 years in the business, he was handing it off to someone else. He said “It no longer made sense for a 40 year old to run a business that a 22 year old built.” He needed to upgrade in order to grow to the level he wanted to reach his personal goals. You are you continuing to call on prospects that look like the bottom 20% of your current customers. You are using the excuse that you can’t make enough time for prospecting because you have too many “small” accounts to service. Your business is flat or declining because you are not adding enough new customers. Build a success formula with the right metrics and hold yourself accountable. Create a profile for new customers that generate the amount of revenue you want. Share your profile with everyone who might know where these customers are and be willing to introduce you to them. Add 1, drop 1. Each time you add a new client; drop one from the bottom 20%. How will you know when your upgrading efforts are beginning to work? You stop using a mirror to qualify your prospects. You have fewer but larger opportunities in your pipeline. You are telling more prospects no. You are accomplishing your personal goals. When should you upgrade? Whenever the people you are calling on cannot help you reach the goals you have set for yourself. That’s when. Nobody can go back and start a new beginning, but anyone can start a new ending. If you are like most of us a few months ago you set some goals for 2013: Some business and some personal. As we close the door on the month of February, I have just one question, how are you doing? When you take a look at your success formula, the metrics that drive your results, have you fallen off the wagon or are you steady on course? No matter what the answer, we should periodically evaluate not just how we are doing but what we are doing. I go through a check up every month with my coach not just on the what, but the how. There are four questions I am always asking myself. Do I have the right metrics? In other words am I tracking the right behaviors that support an effective sales process? Am I performing these behaviors with the right frequency? Enough calls, meetings and introductions? Am I performing at a high skill level? Is my message compelling? Am I accomplished at asking questions and listening? Do I prepare a pre-call plan with each prospect in mind? What do I need to stop doing? Do I confuse busy with a sense of accomplishment? We can all find things to do to avoid what we must do. If your current results are not what you want them to be, decide what you will do today to change them? Remember no new beginnings, but maybe just a few of the right changes could make all the difference when you get to December. How do you respond in critical sales moments? Do you sometimes get caught off guard with a question or response from a prospect? Do you get agitated, frustrated and find yourself talking too much? We refer to these as "choke points" in the sales process when we tend to get emotionally tangled and taken off course by prospects. Why do prospects do this? It's pretty simple, they know the buttons to push on salespeople to get what they want out of the process. Free information, a proposal, ideas, your pricing etc. We all know that what we really bring to any sales call are our experience and knowledge. To make sure you maximize your opportunity to get paid you must wait for the right moment in the sales process to exchange your "collateral" for an economic opportunity. In other words don't give your "stuff" away! Have you ever experienced any of the following on a sales call? get back in the car or hang up the phone and say "Why didn't I say/ask that?" Of course you have, we ALL have. What is the impact on your business if you continue to let these things happen? I'l let you answer that one. OK, if those are the problems, what are the solutions? Here a 5 suggestions to help you "keep your cool" on your next sales call. Maintain "clinical detachment" and resist the temptation to get emotionally involved. That doesn't mean you should lack enthusiasm. There are certain questions, "curve balls" that every prospect will ask which are designed to take you off balance. Know what they are and be prepared with how you will answer them. Listen, that doesn't just mean you are not talking. Listen to your prospect and use their words to respond with your next statement or question to keep the dialogue going. Don't try and think ahead as to where you think the prospect is going, stay in the moment. Have good "pacing" to your conversation, slow down and don't be afraid to allow pauses and moments of silence in the conversation, especially when you ask a question. Sit there patiently and wait for an answer. Make sure you are searching for your prospects name on LinkedIn before you call. Sometimes just a bit of familiarity helps calm the nerves. Your homework: Identify three choke points in your sales process where you may get emotionally involved and decide the next time it happens how will you react to "keep your cool"
When coaching salespeople I am continually amazed at how ineffective they are at getting introductions and referrals from existing clients and other relationships. Their ineffectiveness usually falls into one of two categories. 2. They do not have a good process for asking. Sometimes there are other reasons. This week, Bill Cates offers some reasons that can derail you even before you get started. Here are 4 things to pay attention to before they become an obstacle. Extremely Private - Concerned about Confidentiality. Emphasize confidentiality and how that even applies to close family members. Promote referrals by letting them know that when they identify someone who should know about you, everything is always confidential. Bad Experience in the Past - Teach your clients that you handle referrals with great care; that you won't pressure their friends, colleagues, or family. That they'll get the "white glove" treatment from you all along the way. Not sure how you will make contact - Briefly walk your clients through the process of how you contact referral prospects and what your process looks like. Many times this is just a matter of reminding them how you met them. You're Not Referable... Yet. You must have an initial process that is referable - that generates referrals without even asking. And you must use a client service model to determine how often and for what reasons you'll be in touch with them over the course of a year. In the words of a Bonnie Raitt song, "... Give them something to talk about!" Finally, even when you have a solid process for asking and have paid attention to the pitfalls ahead of time, you will you still come up empty. The worst thing that should happen every time is that you remember to tell them this: "Sometime in the next few weeks you may find yourself in a conversation that relates to the work I do, when that happens I have just one favor to ask, don't keep me a secret." It is amazing how planting those seeds today will yield results tomorrow. Price value volume or profit margin, it’s a business decision you make every day. While I won’t argue the role of price in decision making, once you understand e motivation of the buyer you can decide early in the sales process if it makes sense for you to work on an opportunity or not. There can be times where making a price based sale could be bad for your business. Let’s look at the problems associated with selling on price. You sacrifice margin, which means making more sales to achieve your revenue goal. It’s a short-term strategy versus a long-term strategy. You sacrifice building your sales practice with dependable revenue. If you live by the sword you die by the sword. Win on price lose on price. Why all of this focus on price? Certainly there are things that all of us buy that price is not the primary consideration. Well first it’s part of the official buyers manual. Buyers have been conditioned to believe that there is always a lower price and a salesperson desperate enough to go there. Their own buying cycle, if they buy on price personally they will mirror that behavior as a corporate buyer. Their own record collection about price. Merely suggesting to a salesperson that you can get it for less from someone else causes him or her to get a better price. Well what should you do? That’s the beauty of it, you get to decide the type of business you want to have? If you intend to uphold your margin then you must find prospects that place value on something besides just price. When the prospect tells you up front that this is a price-based decision you need to ask questions to see if there is anything else besides price driving this decision and if not be prepared to move on. The lack of a great pipeline puts pressure on us to work on low probability opportunities. Don’t let your business be driven by price shoppers. Get out there and prospect everyday. Yes, I know the official Turkey Day has come and gone, but I'm talking about being a Turkey when someone gives you an introduction or referral. I know you work hard to earn the trust and confidence from clients and others to get introductions. Make sure you don't make these mistakes after you get them. 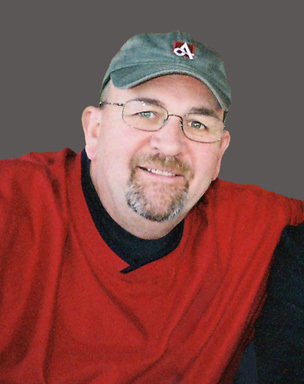 Here is Bill Cates the Referral Coach with some great advice on three mistakes you can't afford to make. "What's a referral turkey?" you may be asking. To me, it's someone who breaks some of the cardinal rules of referral. About three months ago, a colleague recommended I hire a business coach who he had found extremely helpful. He connected us via LinkedIn (an electronic handshake). Since I'm always trying to get better at what I do, I thought I'd see what this guy had to offer. Mike (the coach/consultant) and I had an initial phone conversation on which he offered a complimentary coaching session. If I liked how it went, I could sign up for his program. I thought this was a nice way to get started. He then told me he had to do a little figuring of his schedule for the coming weeks and would call me back in a few days. I never heard from him again. So what mistakes did this guy make that qualifies him as a Referral Turkey? How you receive the referrals you get from clients and centers of influence determines whether those people will give you more referrals. Do I have to change what I am doing today? How can I leverage what I am currently doing along with social media to achieve sales success? 1. Don’t get fooled into thinking that you can replace what you are currently doing to prospect. You still need to initiate relationships. 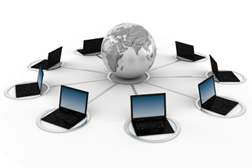 Even if you connect through linked-in, twitter or facebook, you eventually have to pick up the phone and set up a meeting. 2. Social media doesn’t replace traditional sales methods it just gives you more tools to succeed. Think of it as direct marketing at warp speed. 3. The right social media strategy can generate leads from a more targeted audience. Social media provides a place for people with similar interests and concerns to gather and facilitate discussions. If it fits your market strategy, get in on the chatter. 4. If you combine a social media strategy with what you are currently doing you can identify and target specific groups and then approach them before they go on-line thinking they can find everything there and don’t need you. 5. Strategy and execution still matter, regardless of how you get in front of the prospect. Make sure you have a pre-call strategy. 6. Prospects are checking you out before they meet you. Keep that linked-in profile current. 7. The best social media strategy I know does not eliminate the need to prospect. Sure some people might find you but I wouldn’t do it just for those reasons. Don’t slow down on your current prospecting efforts expecting a miracle. 8. Limit the amount of time you spend each day. Just like other activities you should schedule blocks of time and stick to it. Sometimes people get a little to busy with social media and neglect things like, calling for appointments! 9. Be a giver. Be willing to share information about your knowledge and experiences that might help others such as the discussion groups on linked-in. 10. Hire someone to help you get started. There are several businesses that specialize in developing and implementing a strategy and then track your results so you know when to adjust. Should you have a social media strategy? Well by design or by default you already do. Make sure it’s the right one for your business. Sample a jolt of Sales Brew. Want more? 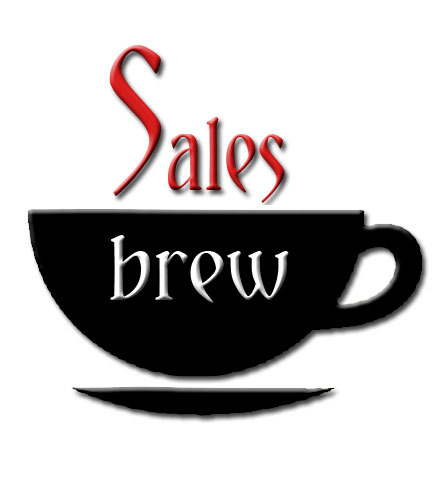 Sign up to receive our weekly audio Sales Brew here. Introducing the ACTG Learning Center which offers a full curriculum of sales courses at a price you can afford and 24/7 access for your convenience. Click here for more information. Eliminate 96% of Your Hiring Mistakes?!? 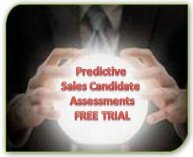 Try our Express Sales Candidate Screens Free for 72 hours!